Having been around a little while now, Neurofuse have created a reasonable formulation. Positives include Vinpocetine – with its energy boosting potential, Phosphatidylserine known best for its ability to enhance learning, and unsurprisingly Huperzine A, an effective “memory” plant extract that many supplement manufacturers substitute in place of the more potent (yet more expensive) Noopept. When you consider that Neurofuse looks pretty expensive in a competitor line-up at $79.99 for a 30-day supply, we were eager to put it through its paces. Neurofuse has been on the market since 2013 and has experienced steady growth over the past 24 months. 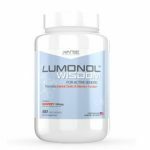 The brand has developed a fairly loyal following and despite the usual negatives, some good reviews of this product can be found online… Without Noopept however, and at $20.00 more per bottle, can the makers of Neurofuse seriously expect to topple 2015 Champion and Editors’ Choice Lumonol? Well let’s take a look. 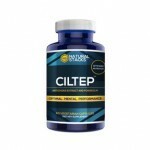 The website is clean and professional, nicely designed, and full of claims about the effectiveness of the supplement. 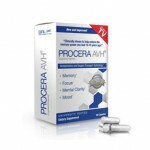 The promises on their homepage include improved mental performance, better focus, mental clarity, alertness, and energy. 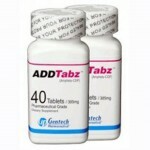 In addition, the manufacturer promises that users will experience reduced stress and anxiety when taking the pills. What the Neurofuse website doesn’t include however is “How” the product does what it claims. 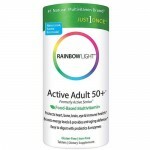 They do however offer a few links to other websites which have the findings listed for some of the ingredients. If you want to know a little more about what you are consuming, then you may need to do your own web research sadly. The Neurofuse website does list the ingredients in the product to assist you. Neurofuse contains only 13 ingredients, which isn’t actually a bad thing. Many companies employ the “more is more” philosophy and yet give little thought to how little potency a capsule packed with 50 different ingredients is going to have. 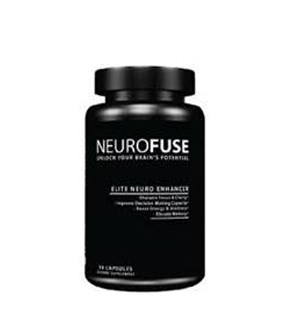 With 13 ingredients Neurofuses formula has the potential for potency! Here’s the full ingredients list (though sadly the manufacturers do not provide the dosage/milligrams of each). 903 mg Proprietary Blend comprising: Rhodiola Rosea (3% Rosavins, 2% Salidrosides), L-Theanine, Bacopa Monnieri, DMAE Bitartrate, Phosphatidylserine 20%, Alpha Lipoic Acid, Choline-Bitartrate, Vinpocetine, Huperzine A, and Caffeine. Rhodiola Rosea is a nice addition to a Nootropic stack if lowering anxiety is the key objective. When we become distracted it is usually because we have too many “programs” running on auto in our subconscious. Little niggles, chores, and impending deadlines can all seem like they are under control, but behind the scenes are the reason you can’t seem to stop staring out the window and actually get some work done! By lowering anxiety levels and enticing relaxation one can often find themselves feeling productive. Effective dosing of Rhodiola usually starts at around 500 – 1000mg, depending upon the individual. With only 903mg total for the Rhodiola and 12 other ingredients in a 2 capsule serving, you would be forgiven for wondering how much Rhodiola you are getting – and more importantly – is it effective? Phosphatidylserine is another positive addition. While dosing daily can go up to 500mg per serving, a dose of around 150mg daily should provide adequate to benefit from brighter moods and less susceptibility to stress. We should imagine Neurofuse will just about have this covered in their formulation. Caffeine Anhydrous is something we have come to expect here at Smart Pill Guide. There are very few companies not relying heavily on caffeine to give their users a noticeable sensation akin to alertness. This isn’t necessarily a bad thing – caffeine after all is the most loved and used nootropic in the world – but rather a cautionary note if you are a bit of a coffee fan too. Enjoying a double Latte after consuming a couple of Neurofuse capsules and you may need the Fire Crew to get you down off the ceiling! Caffeine is a diuretic and so dehydration is a must consideration also. 100mg is the equivalent of a cup of standard coffee and so if Neurofuse contains around that amount then you shouldn’t experience heart palpitations or jitters. Those not tolerant of caffeine may find themselves “crashing” (desperate to sleep) an hour or two after consuming Neurofuse though no one here personally experienced any issues. Sadly, their website contains no real customer reviews. There are 4 “suspiciously stock looking” photos of very good looking people with some positive words, but that’s as far as it goes. 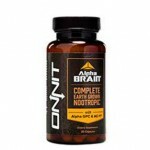 On the web Neurofuse has however been reviewed extensively by nootropic review sites and users. 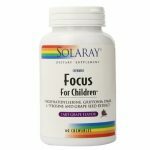 Those using this product report significant increases in energy, slight improvements in concentration, better information processing, and sustained energy. In our tests we definitely noticed an increase in energy and mental alertness, which could be a number of things including the caffeine. 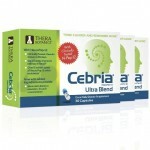 Vitamin B6 is also known to give a boost to mental alertness and may be the cause. User reviews remain mixed, ranging from “delighted” to “seriously unhappy”. We found no dangerous side effects reported. 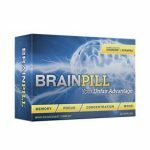 Some comments and reviews reported issues with headaches and slight elevations in anxiety levels after taking this supplement. At $79.99 we felt Neurofuse should have performed better. Alertness increases are definitely experienced, but at a price. We noticed improvements in mood at first, though tolerance built fast and the “good happy feelings” experienced in week 1 were all but gone shortly after. 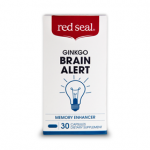 No short term memory gains were noted; however, the formulation would suggest this should be a benefit with continued use (in excess of 90 days). Working on Neurofuse was no issue, again with no real side effects that could be attributed to the product. $79.99 is steep, though they do offer $10 discounts if you sign up for a monthly rebill program for fans of the product. 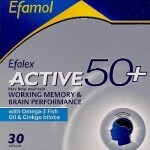 A solid 80% for a product that may well help some to get more done. Not bad if you are looking for an energy booster either – perhaps around exam time. With Neurofuse not quite suited to a student’s budget you may feel your money better spent elsewhere. 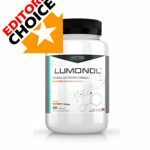 Lucidal (87%), Excelerol (89%), or our Editors’ Choice Winner 2015 “Lumonol” (97%), all provide alternate solutions but at better value. 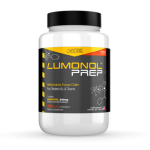 With Lumonol packing 15mg of Noopept, and the Phosphatidylserine, it still comes in $20 cheaper than Neurofuse, and delivers much more.